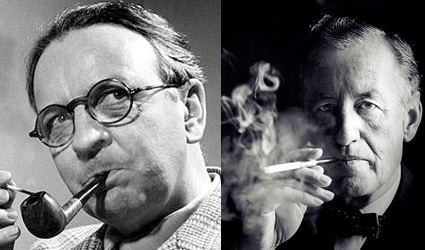 In July of 1958, Raymond Chandler, creator of the detective Philip Marlowe, and Ian Fleming, who dreamed up super spy James Bond, were brought together in conversation by the BBC. Seven months later, Chandler was dead. The two things are not connected, but it made for a once-in-a-lifetime meeting and also represents the only known recording of Raymond Chandler’s voice. Here Brain Pickings offers both the recording and transcribed highlights of the conversation between these two quirky literary greats. Interesting that Fleming wrote the Bond novels in two-month windows. Nothing like a deadline to focus the mind. Ice Cream Flavored Like... Books?